Our history gives the answer since this city has been in some way linked to the West African nation for over 200 years. It takes us back to the early days of Abolition (of the Slave Trade), a campaign which was led by Hull’s William Wilberforce MP and a group of friends who became known as the ‘Clapham Sect’ but could also have been known as the ‘Hull Ex-patriot Society’. Most of those working alongside Wilberforce had either roots or links with Hull. In the early days of abolition the British Navy would patrol the seas off West Africa and seek to intercept slave ships with their human cargo. They were then returned to the African continent and Freetown was one of the first settlements, so named because the people received their freedom there. It all took place under a tall cotton tree and some 200+ years later that same tree stands proudly at the heart of the throbbing city that is modern Freetown. 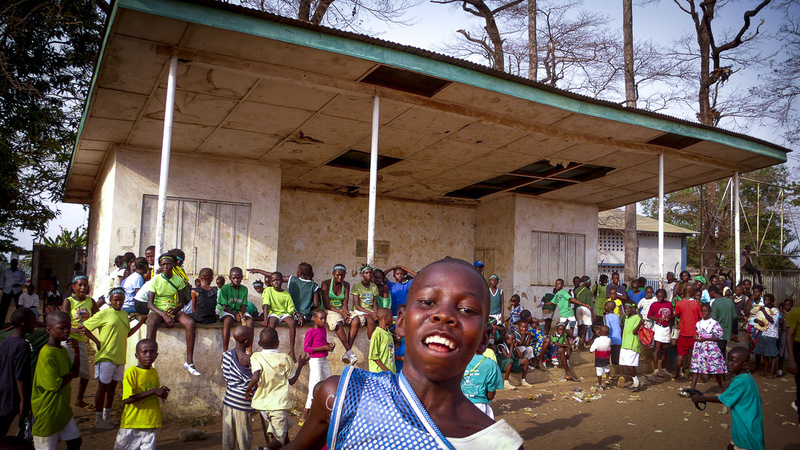 In recent times Freetown has seen growth, prosperity and disaster too. In 1961 the Republic of Sierra Leone was born as Great Britain handed over sovereignty. A small nation it was blessed with good natural resources and a plentiful quota of rainfall and sunshine. The nation was thriving until Civil War broke out in March, 1991. So much was lost, not least of her own people, during 11 years of bitter fighting. Today, thankfully, that is history and the nation has embraced a spirit of hope for the future, although much still has to be done to fully restore the broken infrastructures. Modern Freetown is still desperately impoverished but it is vibrant with life! It is our great privilege in Hull to have this very special relationship and it works! The Freetown Society was set up from the City Council in order to foster and maintain these links. This has led to establishing school and church partnerships and making it possible for people to visit between the two cities. When a previous Mayor of Freetown visited Hull in 2008 the Society helped to entertain him and his party and he promised that on his return he would match our Freetown Way and establish a Hull Society to help promote the links at their end. This promise was kept the following year when our then Lord Mayor, Cllr Karen Woods, visited Freetown and was present at the official launch of their Hull Society and also the renaming of the beach road from Lumley to Aberdeen as Kingston upon Hull Way. Over twenty schools in Hull have twinning partnerships with Freetown schools. No other city in the country has so many overseas links between just one city. These links thrive, creating joint curriculum activities and teacher exchanges. There are also seven local Anglican churches with partners in the Diocese of Freetown, one Roman Catholic link and a developing link in the Methodist churches. In 2014 an agreement was made between the University of Hull and the University of Sierra Leone and plans are now underway to involve Freetown in our 2017 ‘City of Culture’ celebrations. A very real partnership.